We know the drill. Chinese New Year is just around the corner and along comes the dread of housekeeping. What if we told you that simply throwing away some of your possessions could have a remarkable effect on your mind and health? Fumio Sasaki was just a regular guy who was stressed at work and insecure, until one day he decided to throw away everything he didn’t feel like he truly needed. The benefits were instantaneous! Here are three lessons learnt from his book, Goodbye, Things. You don’t need to live out of a single suitcase or own only five pieces of clothing in order to be a minimalist. 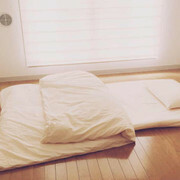 Instead, Sasaki encourages us to experiment and find our own kind of minimalism. “Minimalism is a lifestyle in which you reduce your possessions to the absolute minimum you need.” This simply means discarding the things that you don’t feel are truly necessary to you. Maybe you have that expensive jacket you never wear but think you eventually will, or that guitar that’s gathering dust. When you get rid of these distractions, you’ll be left with what’s truly important to you, and you’ll come to appreciate those things even more. “I never realised before that I already had everything I needed to live a decent life.” This is probably true for many of us, but if so, why do we keep buying more things? Sasaki mentions a ‘cycle of familiarity’ in chapter two. It is when you get something, get used to it, lose interest in it and then have a desire to have something else. This is an eternal loop, and even as your possessions increase, you’ll never be satisfied. The solution to this is gratitude, and having many possessions blocks that. When you have too many things, when will you ever have the time to appreciate each and every one? “Back then, I had always been so preoccupied with what I didn’t have that I never even thought about being grateful for what I did have. An interesting insight from this book is that we don’t realise how much time, energy and freedom our possessions require from us. For instance, your housework becomes much simpler when you have less knick knacks in the way. 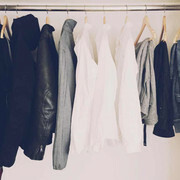 When you own fewer clothes, you’ll be wasting less time trying to decide what to wear everyday. When you’re aware of all your possessions, you’ll never have to rummage around for lost things. “By reducing the number of material possessions you have, you can take back the time that your belongings have been stealing from you.” And you can allocate this time to doing things that are truly important to you.